How Do We Work? It's A Journey. We Take It Together each step of the way. You can’t find a solution until you have a clear idea of what the problem is. Collect sketches, take photographs and gather data to start giving you inspiration. Begin to sketch, make, and study so you can start to understand how all the data and information you’ve collected may impact your design. Take your preliminary ideas and form multiple small-scale design solutions. Present our ideas to as many people as possible across our clients organisation and any others we trust to give insightful comments. Reflect on all of your feedback and decide if or to what extent it should be incorporated. 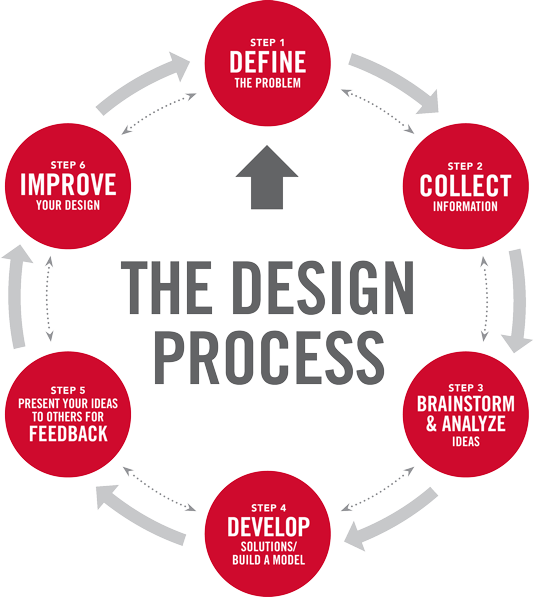 It is often helpful to take solutions back through the Design Process to refine and clarify them.